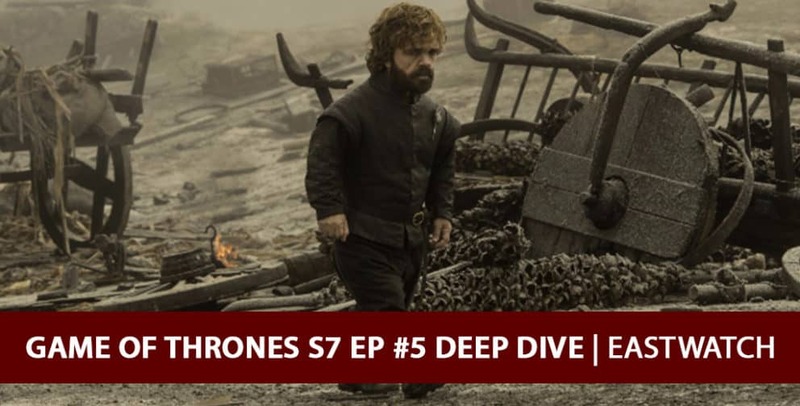 After a one-week hiatus, Josh Wigler (@roundhoward) and Rob Cesternino (@robcesternino) return for another ‘Game of Thrones’ Deep Dive podcast, this time reviewing all the major storylines from “Eastwatch”, episode 5 of season 7 of HBO’s hit fantasy drama series ‘Game of Thrones’. Please feel free to leave your comments/questions/feedback in the comments section below, or tweet us using the hashtag #PSRecaps. Join us again next week for more in-depth coverage and ‘Game of Thrones’ analysis!